Q: Should I quit smoking for liposuction? A: No. You should quit smoking for yourself! Smoking makes you look older fast. It robs your cells of oxygen and they need oxygen to heal after liposuction. You should quit smoking two weeks before liposuction and abstain during the procedure and withhold for two weeks after. Of course, it would be great if you never lit up again! 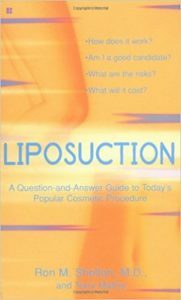 Q: When can I go in the sun after liposuction? A: You should cover the insertion scars with a high sunblock or surgical tape when you go out in the sun otherwise you may get a post-inflammatory hyperpigmentation or you may increase the scars tendency to remain red for a longer while. Q: Can creases below the buttock be fixed? A: If the crease is a function of being overweight, it may improve with weight loss. If it is a congenital feature or as a result of liposuction of the posterior thigh / buttock, then fat injections can be used to fill the area. These are grafts and may take a series of injections for enough cells to “take” in the new area. Q: Can I have liposuction on my tummy after I’ve had ovarian surgery for cancer? A: If your oncologist approves the surgery, there should be no reason why you couldn’t have tumescent liposuction. The surgeon examines you to be sure that any possible hernia is identified prior to liposuction. Q: Can I purposely not wear my compression garment for an hour or two during the day after my liposuction if it is uncomfortable? A: You should speak with your surgeon. If the garment is uncomfortable then maybe you should be refitted with a different brand or size. It also depends, where in the postoperative period you are. Within the first week it is much better to continually wear it except for the brief time you’re in the shower. Q: I really want liposuction but I have high blood pressure. Would it be safe for me to have the surgery? A: Your blood pressure might not be severe enough to prevent the liposuction, but the best way to determine this is for your primary care physician to provide a medical clearance to your liposuction surgeon. Q: I had SmartLipo last week and I have numbness and tingling in one area of my skin. Will this go away? A: It is not uncommon for small areas to have a patchy sensitivity or numbness after liposuction and this usually is temporary. However, it could take months for some individuals to regain their normal feeling as inflammation around the nerve endings or nerve itself, subsides. You should see your doctor for an evaluation. Q: The backs of my upper arms hang down and feel so heavy. They’re out of proportion to the rest of my body and exercise isn’t helping. My mother has the same shape. What can I do? A: You may be a candidate for liposuction and you should be seen in consultation to determine if your bulk is fat or loose hanging skin. If it is the former then you may obtain a good result from liposuction but if it is the latter, then possibly Thermage may be better. Some people won’t get a good shape without a surgical arm lift but the scar may be objectionable. Q: I had liposuction on my lower abdomen and now note a few days later that my labia are very swollen and black and blue. Is this common? A: Your swelling and bruising are very common after abdominal liposuction because that is where the gravity pools the fluids until they go away in several days to a week or more. This is written in our post-operative instructions so our patients aren’t concerned should they notice this. It is commonly seen around the labia of women and the scrotum of men. Q: I had SmartLipo liposuction a week ago and I’m so puffy I don’t see a difference yet. Is this normal? A: Depending on how much fat is removed and how much you had in the areas treated with liposuction, you may have a wonderful result. 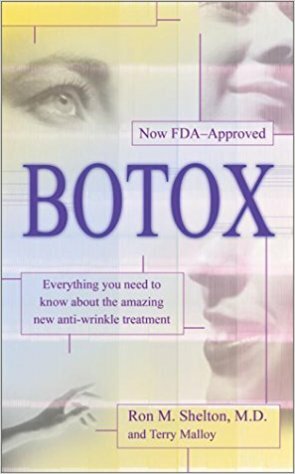 There always is swelling right after the treatment that takes weeks to diminish and then it will look better, especially as the collagen helps retract the skin and fat layers to improve the contour over three to six months from surgery. Q: I had liposuction two months ago and see waviness. Should I be upset? A: Liposuction takes up to six months to improve. See your surgeon for reassurance and an evaluation if more surgery will be needed. Sometimes external massage helps bring down swelling that creates the waviness. Q: I had liposuction on my upper arms a few months ago but don’t see enough improvement yet. Will I still get better results? A: Arm liposuction can take up to six months to see the final result. You should discuss this with your surgeon and compare the results now with your "before" liposuction photographs. Q: I had a liter of fat removed with liposuction a month ago but still feel my love handles. Should I have more surgery? A: Wait at least three to six months for all the improvement to be realized, then ask your surgeon if more liposuction would be warranted. Definitely do not repeat surgery too soon as you may be quite pleased with time. Q: If I have liposuction on my neck, but my weight changes, will I see a big change in my neck? A: Usually, as the neck doesn’t have much fat stores, there is minimal change that happens with weight gain or loss, compared with the other areas of the body that undergo liposuction. Q: My friend had liposuction on her belly a few days ago but has pain on the thigh. Should she see her surgeon? A: It is probably not a direct correlation of having trauma from the instruments used in liposuction to have caused injury to a nerve causing pain in the thigh. She may have swelling that is pushing on a nerve that is feeling the effect of the pressure from gravity moving the fluid lower. The pain will probably go away, but she should make an appointment with her surgeon to ensure it is nothing more serious. 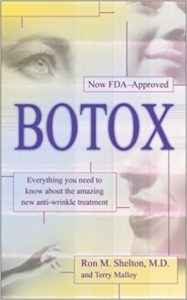 Q: I had fat injected into my lower eyelids years ago and can’t seem to get it reduced by different doctors trying different injections. What are my options? A: If there is an overcorrection with fat that was injected into the lower eyelids, the only safe approach is to remove it surgically so that the area is carefully cauterized if bleeding occurs, especially if the fat is underneath the muscle rather than above the muscle. That is why using a non permanent filler and a less thick or viscous substance is advantageous in this location for some. Liposuction has risk by inducing bleeding, although rare because of blunt-tipped cannulae being used rather than sharp needles. Q: I weigh more than 300 pounds and want to know if I can have Smart Lipo to help take my weight off. A: Liposuction, regardless of the type whether referred to as: smart Lipo, powered lipo, ultrasonic liposuction, tumescent liposuction, water jet liposuction, laser assisted liposuction, is not a replacement for diet and exercise. Liposuction, and any surgery, carries more risk with patients who are overweight, for reasons of glucose abnormalities which affect healing, and fat emboli and blood clots. You should become slimmer by adhering to diet and exercise and then seek consultation for liposuction when you can’t reduce any more. If you did liposuction without losing weight, your fat would return quickly if you don’t learn to manage your dietary caloric intake and burn calories by exercise. Q: I had liposuction on my abdomen overseas and my surgeon but my lower abdomen and pubic area is still swollen. M surgeon said to wait more time but it’s been a year. Would wearing liposuction garments help? A: At one year, wearing compression garments should not help much further. You will need to reduce the swelling by other means, diet and exercise. It may be that you need a second opinion and that further liposuction may help reduce the fat further on the suprapubic region. Q: I have pins and needles sensations after liposuction in one area of my lower abdomen. It’s been three months and although better, it’s not perfect. Will this improve? A: Many different symptoms are experienced after liposuction but pins and needles are rare. There may be something else going on such as a pinched nerve. Regardless, you can try to get more improvement from time alone. Ask your surgeon if taking a non-steroidal inflammatory agent is helpful in this regard.